Geofencing—using a defined geographical area to trigger some sort of action—is often an important part of smart home systems, and is included in many smart thermostats Looking to Buy a Smart Thermostat? 5 Nest Alternatives Looking to Buy a Smart Thermostat? 5 Nest Alternatives When it comes to controlling the temperature of your home, the Nest smart thermostat is king, but there are plenty of options out there. Here are 5 you should consider if you're looking to buy. 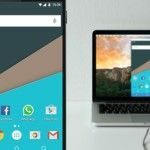 Read More and smart locks Forget Keys: 5 Smart Locks You Can Unlock With Your Phone Forget Keys: 5 Smart Locks You Can Unlock With Your Phone Here are 5 different locks that you can unlock with your phone. Read More . 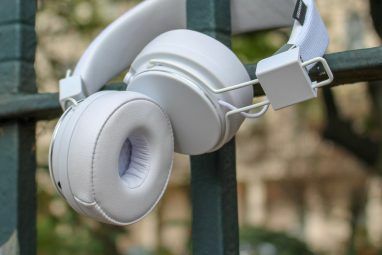 But Zuli is taking geofencing to the next level, and their new plugs show us some of the potential of what a smart home can really do. Smart plugs are being released all the time. Big players, like WeMo, SmartThings, and Insteon have all released smart plugs, and there are plenty of others available from smaller manufacturers. It’s already getting hard to choose the right one for you Which Smart Plug Is the Best One for You? Which Smart Plug Is the Best One for You? Even if you aren't into the whole smart home automation trend, you really should get yourself a few smart plugs. They're one of the easiest smart home products to use. Read More . So what makes the Zuli smart plug different? Two things: ease of use and highly specific geofencing. One of the annoying things about smart plugs is that they’re usually rather uneconomical in their design. If you take a look at the these six alternatives to the WeMo 6 Smart Plugs That Aren't Belkin WeMo 6 Smart Plugs That Aren't Belkin WeMo Read More , you’ll notice that many of them are quite big; they might not work in all outlets, they might take up two outlet spaces instead of one, or they may need to be installed in place of a regular outlet. The Zuli is small, fits over a single outlet, and just needs to be plugged in: no electrical expertise required. It doesn’t get much simpler. There’s no smart home hub Which Smart Hub for Home Automation Is Best for You? Which Smart Hub for Home Automation Is Best for You? For a while, people thought of the idea as nothing more than a gimmick, but recent product releases have shown that smart home automation is starting to live up to its promises. Read More required, either; it uses Bluetooth low-energy (LE) to communicate with your phone. When you use a single Zuli plug, it behaves like most other smart plugs: you can control it from your iPhone, turning it on or off or dimming a dimmable bulb. But when you use three or more Zuli smart plugs, you get to take advantage of what really sets these plugs apart: a mesh network Which Smart Hub for Home Automation Is Best for You? Which Smart Hub for Home Automation Is Best for You? For a while, people thought of the idea as nothing more than a gimmick, but recent product releases have shown that smart home automation is starting to live up to its promises. Read More that allows in-home geofencing. Most other geofencing products will do something when you leave your home or the area immediately around it; this is useful, but not especially impressive. That’s a pretty big area. Zuli, on the other hand, geofences specific rooms in your home, so it can automatically turn off the lights when you leave the kitchen, turn the TV on when you walk into your living room, or turn the fan on when you go into your basement—the possibilities are almost endless. And there’s support for multiple users as well. If your preferences are different from your spouse’s or your kids’, you can make sure that when you enter a room it gets set up according to your preferences (at the moment, the first person into the room gets to control it, but Zuli is working on a hierarchy system). The Zuli system also includes scheduling and energy monitoring, giving you more control and more information. And at $55 for a single plug or $150 for a three-pack, it’s comparable to most other smart plugs. So what can you do with in-home geofencing? First of all, you can save a lot of power and make your smart home more efficient 5 Smart Hacks To Save Electricity In Your Smart Home 5 Smart Hacks To Save Electricity In Your Smart Home he trick to saving electricity is in knowing where most of your energy is consumed. Read More . Turning off appliances and lights when you leave the room, without having to do anything at all, will make it easier to reduce the power drain from accidentally leaving things on. 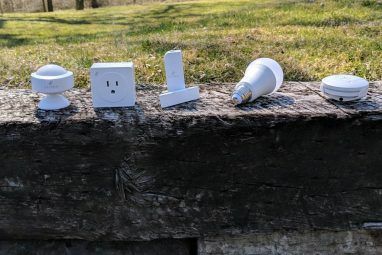 The possibility for customizing the conditions of each room to suit your liking without having to take any action is very appealing as well—turning on a set of lights and dimming them to your preference, turning on a fan or a stereo, and starting the kettle or coffeemaker in the morning are all easily accomplished with the Zuli smart plug. Geofencing can even make your home safer—by turning the iron, the oven, or a space heater off when you leave the room, you can reduce the chances of starting a fire or someone getting burned (interestingly, geofencing has been used in other ways to increase privacy and security How You Can Use Geofencing to Improve Your Privacy & Security How You Can Use Geofencing to Improve Your Privacy & Security Geofencing uses GPS to define geographical boundaries, and can prove very useful in managing your personal security. Read More , too). Because the Zuli is still in pre-order phase, we have yet to see how well it performs; but if it does well and becomes popular, you can expect to see its usefulness increase further. Integration with IFTTT would allow you to configure your geofencing triggers only when certain conditions exist, or integrate other devices into the works. And because there are so many big players looking to improve their foothold in the smart home market, it’s fairly likely that Zuli will get bought up by a larger company (Logitech, for example, has shown quite a bit of interest in the company). And if it does, the tech used to create the in-home geofence may become integrated with a larger smart home system. The Zuli smart plug may look like any other smart plug, but it’s a big step toward making your home a lot smarter, and it could signal a shift in the smart home field toward even more fine-grained customization. 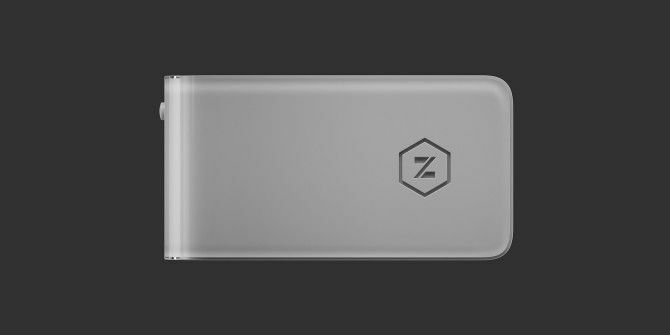 It’s an exciting time in the smart home industry, and Zuli looks to be a leader in advancing the smart home. What would you do with in-home geofencing? What would you like to see use this technology or integrate with the Zuli system? Or are you still not sold on the idea of smart plugs at all? Share your thoughts below! Image credits: Zuli, Zuli via Kickstarter. Explore more about: Artificial Intelligence, Bluetooth, Smart Plugs. As cool as this sounds, it'll be meaningless if it doesn't integrate with existing hubs - and the price is a bit worrying. I can also see a problem with things activating when you walk past the doorway - a mesh network like this won't have any idea of room boundaries other than where the signal ends. Totally agree—this is a cool system, but it's still early. It might actually be to their advantage to get bought out by a larger player. As for the difficulties with sensing rooms, you're probably right. I don't know enough about Bluetooth to say how they might be able to deal with that problem, but hopefully it's something that they've thought of. I'm looking forward to seeing where this goes. Should be interesting!